Ever since Gatsby and Mad Men became popular, bar carts have been all the rage. 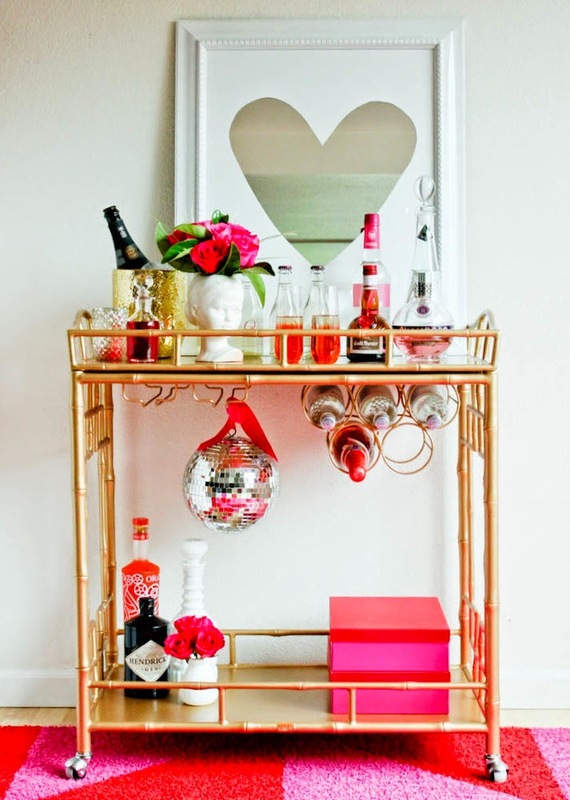 I love the idea of bringing vintage pieces such as bar carts back into style, but adding a modern glamorous twist! 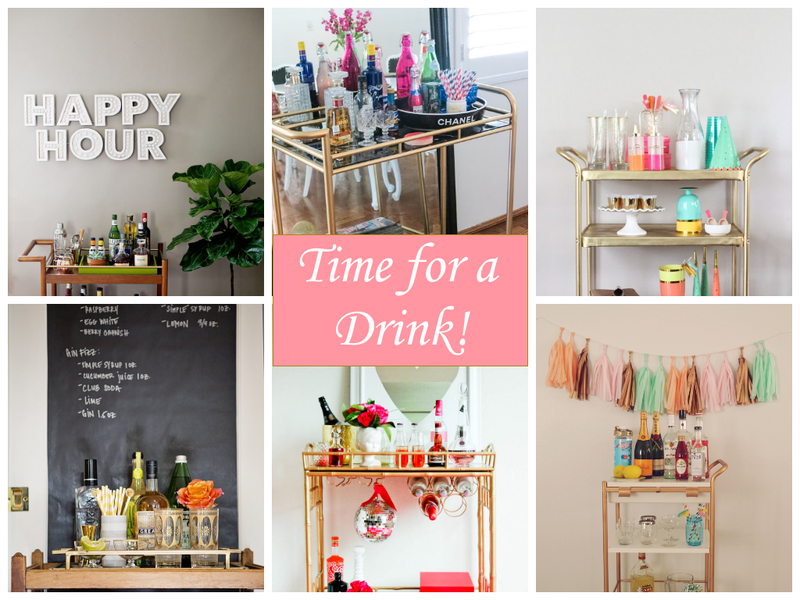 I wanted to share with you 6 of my favorite bar cart designs right now! 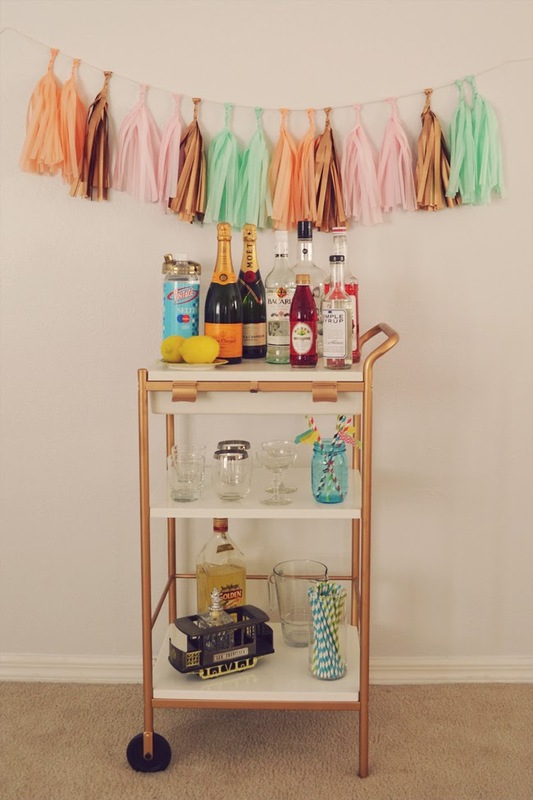 I love the way this bar cart mixes gold tones and bright summer pastels such as mint and coral. It's so beautiful and could be placed outside for a summer swore. How cute is this barcart?? 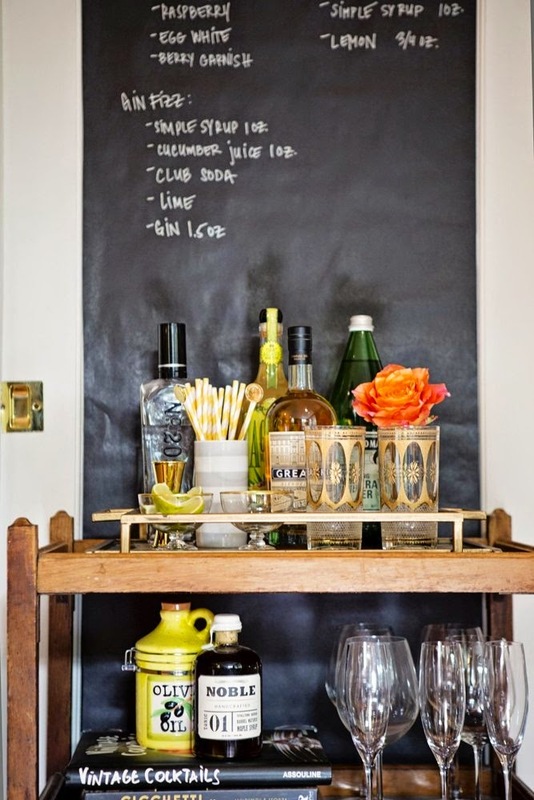 I love that they added another big trend right now, chalkboards, to their bar cart. Think of all the possibilities! You could write the drink specials of each party or guests could leave notes to you! 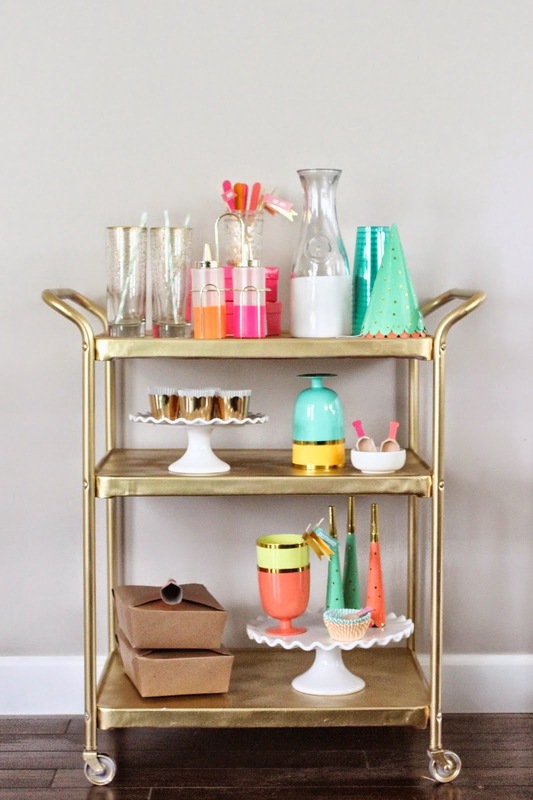 I love the modern glam look of this pink and gold bar cart. It's perfectly girly chic! Plus it has a disco ball for goodness sakes! Part of what is so amazing about this bar cart is that the actual cart itself barely cost anything. It's a simple ikea hack (follow the link for instructions). Rather than spending a ton of money on the cart, this designer let the accents such as the tassels and the paper straws carry the look. This has so be the perfect bar cart for me! It has a Chanel tray and a gold metallic skull! It combines girly and edgy style perfectly! Oh and want to read a magazine while sipping on your cocktail? Don't worry. 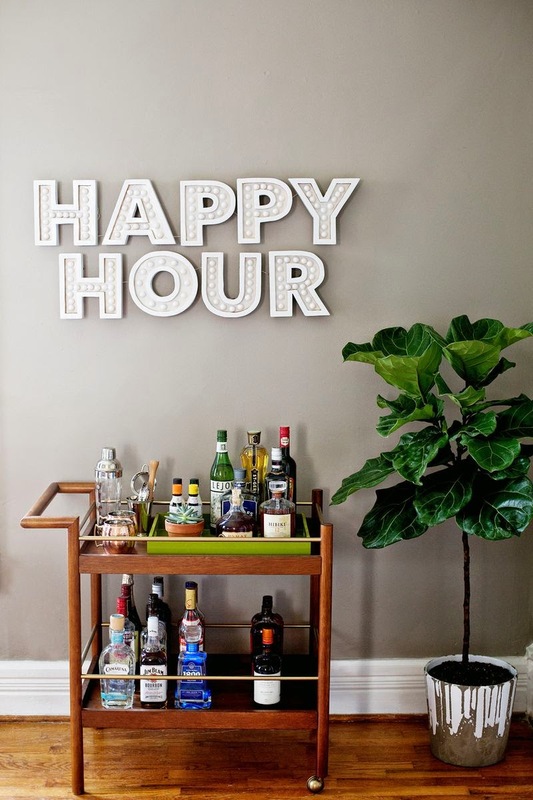 This bar cart has you covered. This gorgeous marquee from A Beautiful Mess is simply perfection. 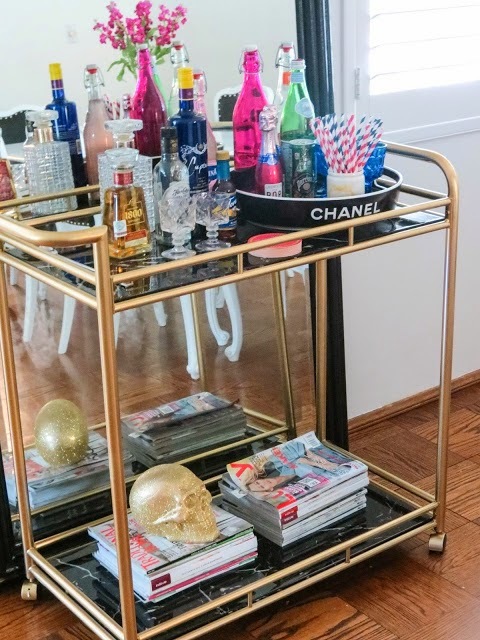 It adds a little glam to this very vintage 60s style bar cart. It makes me think Joan added her own twist to Don Draper's bar cart. Further, tires made of polyurethane plastic are cut safe and have high elasticity. The heap limit of a truck fluctuates from 50 lbs to 600 lbs. The ringing in your ears may turn out to be increasingly perceptible, and there is nothing to shield your rest from a sudden problematic burst of commotion.